CROSBY, TEXAS (June 25, 2016) Heading into his final year of high school football, one Houston area player knows what colors he will be wearing when he takes the field in the fall of 2017. 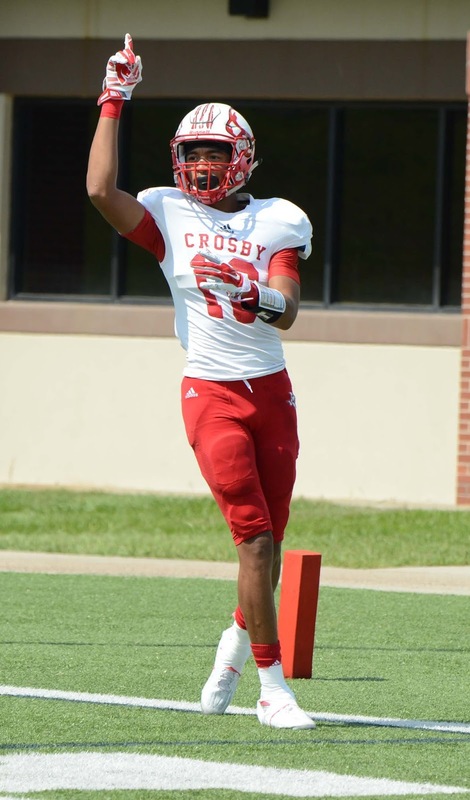 Crosby High School senior Emmanuel (Mannie) Netherly announced on Friday evening, June 24, 2016, via his Twitter account, that he will attend Louisiana State University and will play for the Tigers beginning in 2017. The 6-2, 183-pound quarterback and wide receiver had offers from over 20 other schools, including Texas A&M, Alabama, Auburn, Florida, and Texas. Netherly led Crosby High School to a 11-1 record in 2015, with a 10-0 regular season record while posting an 8-0 record in route to the district championship. In the playoffs, Crosby defeated Lumberton by the score of 42-13 in the first round of the Class 5A Division II before falling to Fort Bend Ridge Point 42-14 at NRG Stadium in the second round. The future LSU Tiger will bring impressive stats to Baton Rouge. He posted a 4.48-second 50-yard dash, along with a 4.32-second shuttle run and a 36.9-inch vertical jump. In his junior year at Crosby, as a wide receiver, he caught 60 passes for 1,002 yards and 18 touchdowns. In addition, he carried the ball 22 times for 230 yards and four touchdowns. When playing quarterback, he completed 13 of 23 passes for 169 yards and two touchdowns. He was a first team all-district selection at wide receiver and was named to the Texas Sports Writers Association's all-state second team. Netherly and the Crosby Cougars will kick off the 2016 season on Friday, September 2, 2016 against Manvel High School. 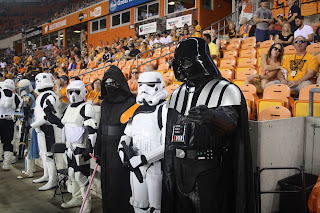 HOUSTON, TEXAS (June 18, 2016) Battling for 90-plus minutes at BBVA Compass Stadium on Saturday, June 18, 2016 in Houston, neither the Houston Dynamo nor D.C. United could get the ball into the net and as a result, fought to a scoreless draw in front 19,774 fans on Star Wars Night. The draw gives both teams one point in the standings. The Dynamo are now 3-7-5 (14 points) while D.C. United posts a 4-6-5 (17 points) after 15 games in the 2016 season. In 23 meetings, the Dynamo holds a 13-6 advantage, with four draws. In 12 meetings at home, Houston posts a 9-1 advantage with two draws. The match was the only regular season meeting between the two teams in 2016. The game was the third consecutive draw for the Dynamo under interim head coach Wade Barrett, after the resignation of Owen Coyle on May 25. 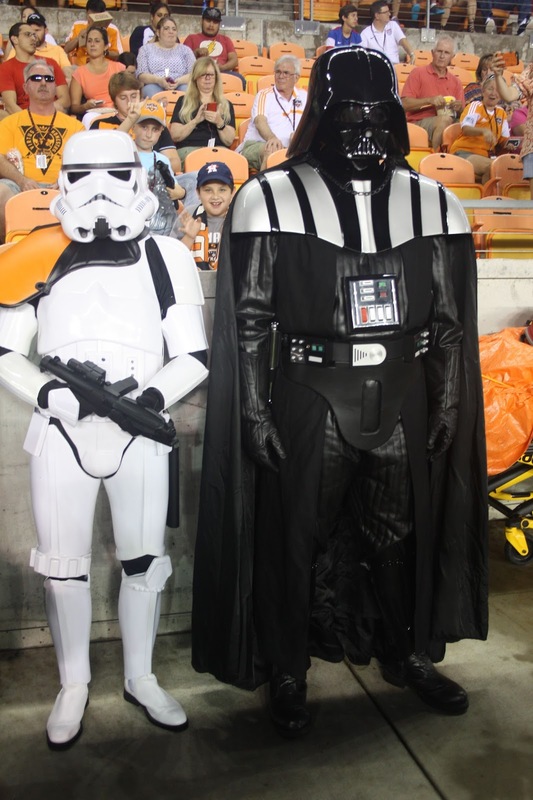 The Star Wars theme of the game drew many fans decked out in shirts paying homage to the movie series, with many dressed in costumes of the favorite Star Wars character. With their 3-7-5 record, the Dynamo currently reside in last place of the Western Conference while D.C. United is in seventh place in the Eastern Conference. The Colorado Rapids currently lead the west with a 9-2-4 record, while the Philadelphia Union is in first place in the east with a 6-4-5 record. Next up for the Dynamo is a Sunday, June 26 matchup against the Portland Timbers at Providence Park. They return to BBVA Compass Stadium on Wednesday, June 29 to face Sporting Kansas City in the Round of 16 of the Lamar Hunt U.S. Open Cup.